The kingdom of Ayutthaya ruled southern and central Thailand from the 14th century to 1767, and it developed one of Thailand’s greatest architectural gems. 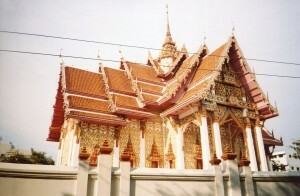 The pavilion in the above photo is from Bangkok’s royal palace, but it follows much of the Ayutthayan form. Most Thai pavilions won’t wow you with their sizes, but you have to appreciate them with Thai thought patterns. Thai’s usually don’t go for size. They do cooler things with art forms. 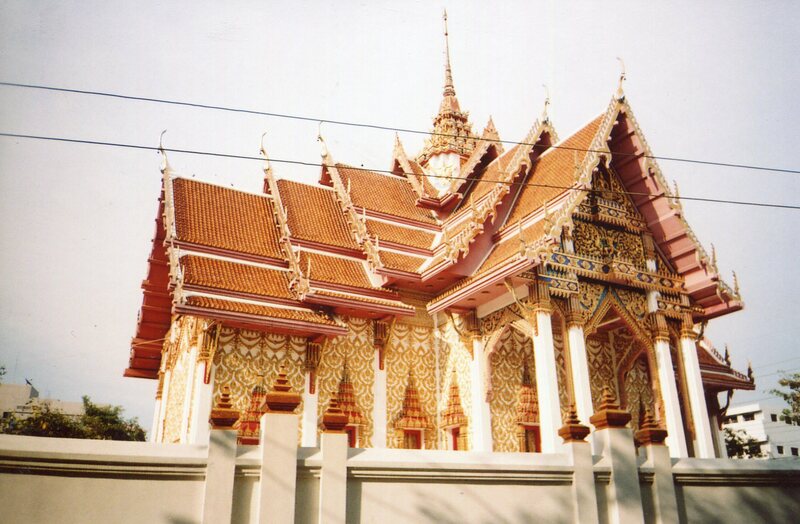 Ayutthaya’s royal palace had some of the finest examples of Thai pavilions. Sadly, the Burmese invaders leveled it almost to the last brick in 1767. 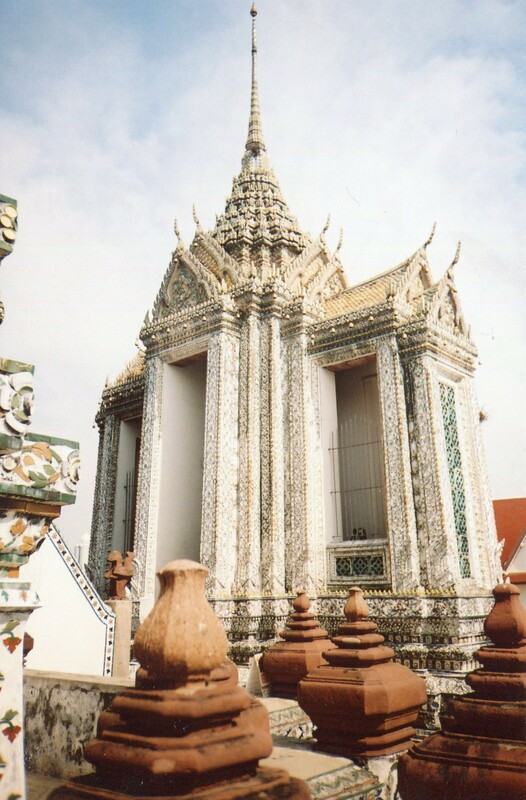 But the kings who built the new capital in Bangkok wanted to establish continuity with the past, and they recreated this form in many temples and meeting halls. This includes the pavilions at Wat Arun–so please pardon a reposting of the same photo from yesterday. 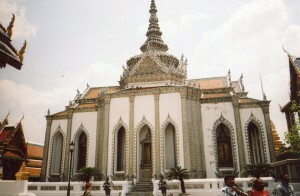 Like the meeting halls in Ayutthaya’s royal palace, these two buildings have a central section topped by a tall spire. Two sides are adjoined by a section which is longer than the other 2 side’s extensions. Each building is thus in a cross shape that’s long on one axis and short on the other. The pavilions at Ayutthaya’s palace were very stately because the two extensive sides contained long meeting halls. But most of the magic of Thai pavilions is in the roofs. 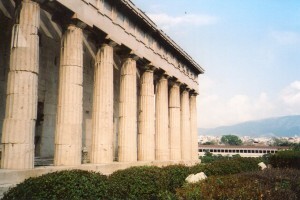 Several overlapping gables crown a portico on each of the 4 sides. A stack of curving roofs rises above, and they gradually become steeper towards the main spire. The horizontal emphasis of the long halls thus gradually transforms into the soaring steeple. The shift from the horizontal to the vertical axis is thus tapering rather than sudden. 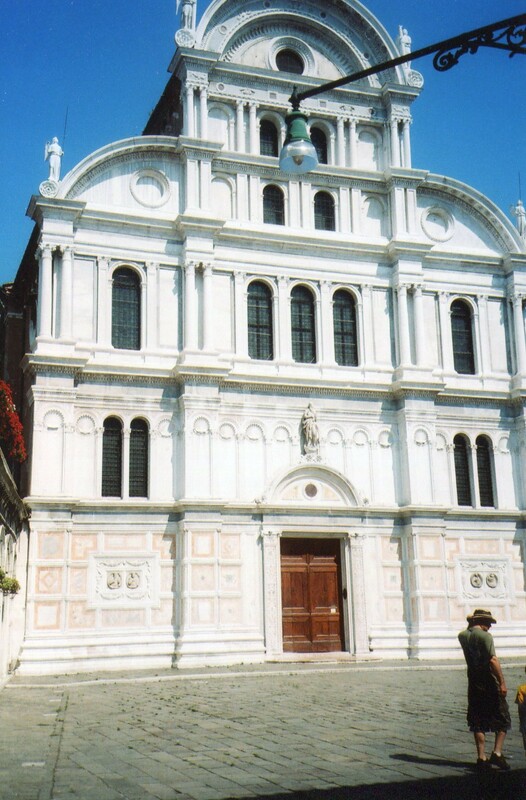 and with the Italian Renaissance’s use of straight lines and Roman arches as models of permanent truth. San Zaccaria (above) is one of the many beauties which Venetians constructed in the 15th century. Venetians and Florentines created this art while Ayutthaya was perfecting its own. The Thai pavillions’ transitions from the horizontal to the vertical axis are so gradual that the line seems to dissolve into a gently flowing river. Worldly dominion and spirituality are balanced. But make no mistake. The builders of Ayutthaya’s halls meant business. Ayutthaya was the most bellicose of the three great old Thai kingdoms. It fought at least 70 wars, and its society was divided into a rigid social hierarchy. But the palace’s graceful forms fit traditional Thai models of reality, which emphasize balance between all forces in the environment. All powers and spirits in nature are in harmony. 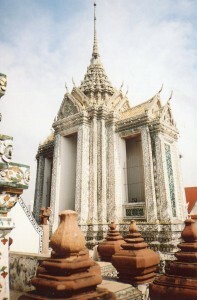 Thai architects masterfully expressed this ideal, and this pavilion form continues to grace palaces and temples today.